Our company and our product. 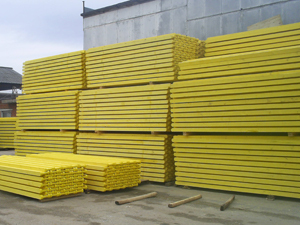 LLC "Monolit" is a certificated manufacturer of wooden glued beam. The wooden beam is used as an element of casing of floorings. 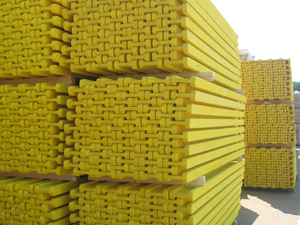 It is intended for perception of vertical loads at installation of the armouring and concreting during preparation and manufacturing of monolithic reinforced concrete constructions of interfloor floorings. It is also used in geodetic works at adjustment of a horizontal surface. Our office and sales department are located in Moscow. If you buy wooden beam you can ship it in about 7 working days from our warehouse from the day of payment. It is situated in 20 km from MKAD. We can also provide delivery services for our buyers - auto and railway transportation.